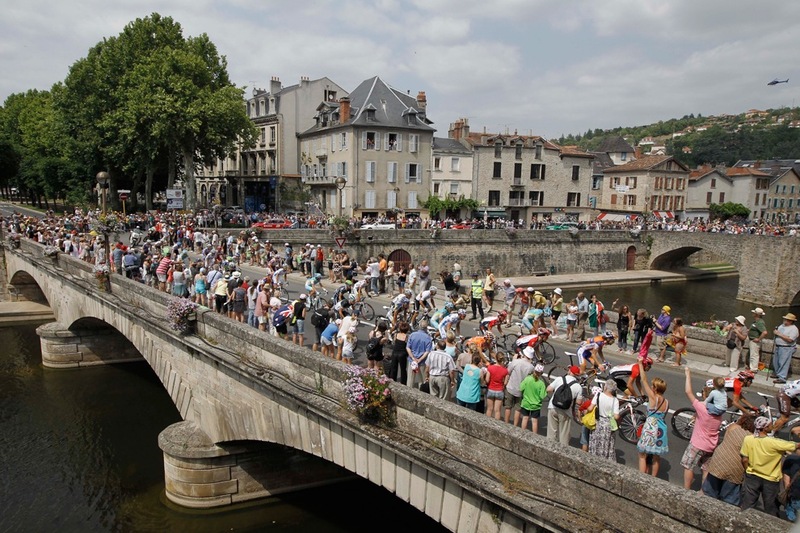 The 99th Tour de France will begin on Saturday, with the opening individual time trial. While I don’t expect many American sports fans to tune in every day (and the prologue is one that I suggest you skip), you do have three weeks to enjoy this most epic of races. To get you a bit amped up for the experience, allow us to present a highlight package which ran on UK television (just ignore the credits at the beginning) at the conclusion of last year’s Tour. This video captures much of what I love about the sport, from the fierce competition and crashes to the stunning scenery and crazy fans. Lets get this out-of-the-way first. 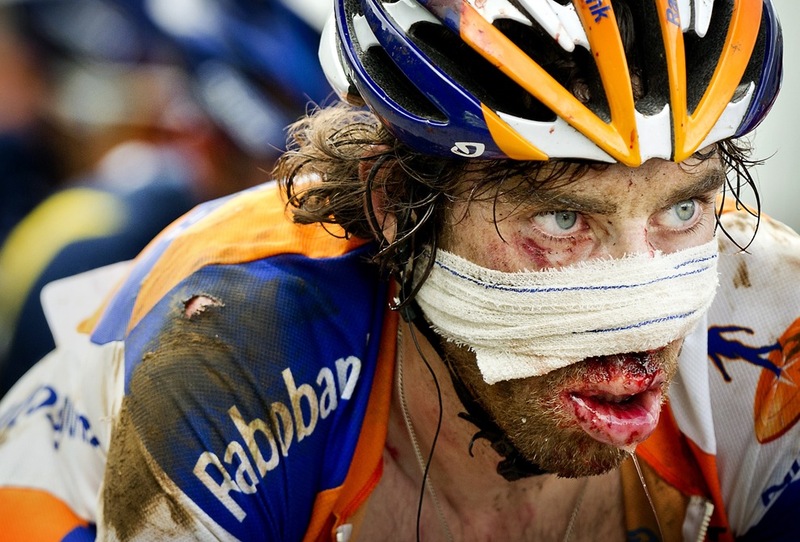 Yes, there is a doping problem in Professional Cycling. In its history, numerous riders have tested positive, and have been expelled from the race and the sport. The good news is that most of the names associated with doping scandals will not be racing in this year's Tour, although a few of them are indeed back. Cycling has a tarnished reputation for doping, however in my opinion the sport should be applauded for catching the cheats, and getting rid of them. Riders are tested numerous times during the race, and all throughout the season, much more extensively than you will see in any other sport. Cycling has been relentless in its pursuit of cheaters, and they appear to be out front of the problem. Teams and sponsors have zero tolerance for it now, and the sport has turned a corner on this issue. Cycling has not ignored their doping problem, and have been at the forefront of fighting it. I wish the same could be said for the other sports that we enjoy. Cycling certainly has its own language. For the most part, we'll try to avoid using the French terminology, but below are some terms that you should be aware of as you read this primer, and watch the coverage. Peloton - The main group of riders. 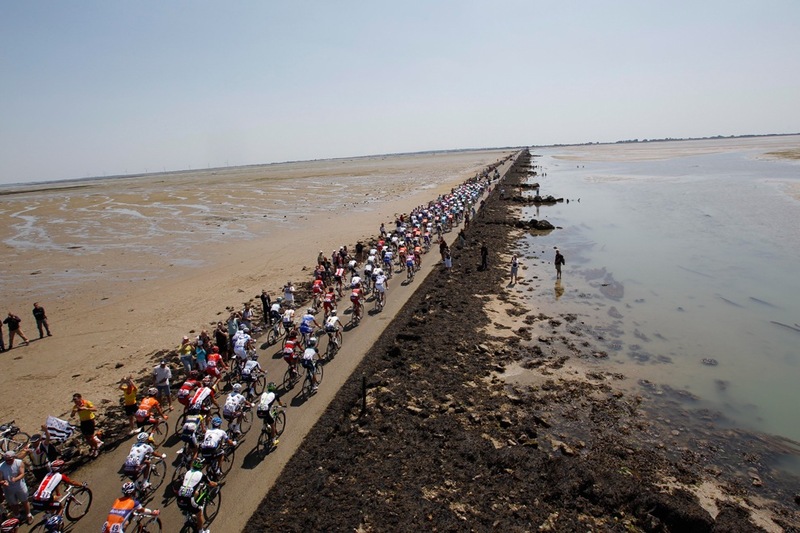 Break, Breakaway – A group of riders that take off ahead of the Peloton. Chase – Single rider or group that tries to catch up to the leader or breakaway. Domestique – A designated rider who sacrifices personal goals to help the team. Drafting – Riding closely behind another rider, saving energy. GC, General Classification - Tracks the overall leader based on time. Time Trial – Simply a race against the clock. Each rider rides individually. Team Time Trial – A team race against the clock, ultimate test of teamwork. Prologue – A short time trial that opens the Tour. Flat stages – Minimal climbs, typically feature a bunched sprint finish. 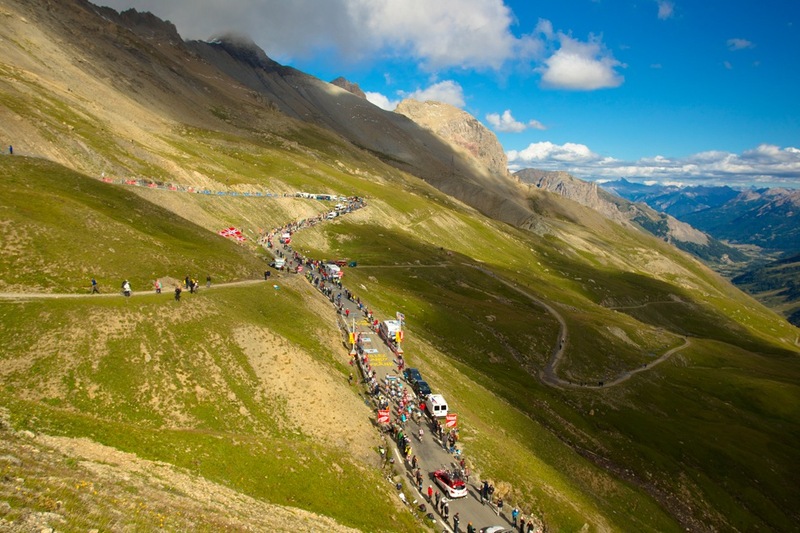 Mountain stages – Big climbs, dominated by the Climbers and GC men. 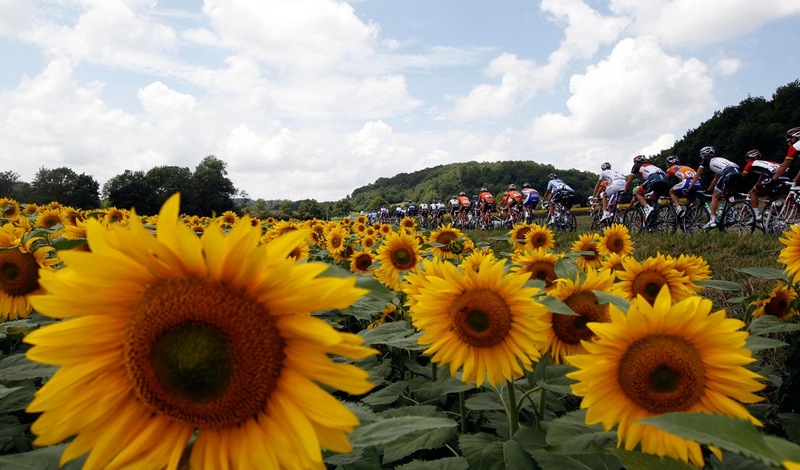 There are several competitions going on during the three-week Tour de France. The most prestigious of which is certainly the general classification. 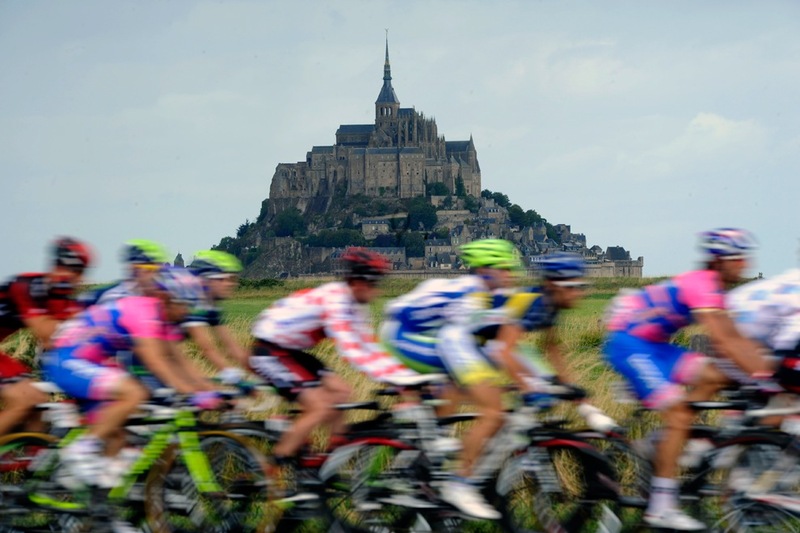 In addition, earning a stage win in the Tour de France is a prestigious event in itself. There is also a team competition which awards the team with the lowest overall time. At the conclusion of each stage there is a podium presentation (with babes) for the stage winner, and the winner of each jersey. Below is an overview of the primary jerseys. The United States has eight riders entered into the 99th Tour de France, two less than last year's record of ten. While 8 out of 198 isn't a very large percentage of the entrants, the American riders will likely have a disproportionate impact on the race. Now that Armstrong has retired for real this time, the United States doesn't really have a rider that can honestly challenge for the General Classification. They do however have several that are capable of breaking the Top 10, with an outside shot at the podium. Levi is easily the second biggest name in American cycling in recent years, finishing in the Top Twelve at the Tour de France six times over the past decade. He has been bothered by injuries recently, but could finish in the Top Ten. Once considered a future star of American Cycling, Danielson endured some setbacks, and didn't make his Tour de France debut until last year at 33. He surprised many by finishing 8th and hopes to break the Top Ten again this year. After finishing 5th overall in 2008, and 8th despite injury in 2009, Christian crashed out in 2010. He only finished 17th last year, and now in his 10th Tour de France, he hopes to return to form. The course may suit him a bit better this year. The youngest American in the field, Tejay is looking like a star of the future. He won the Best Young Rider Competition 3 times in the past year, at Paris-Nice, Tour of California, and the US Pro Cycling Challenge. He hopes to do the same at the Tour de France. Tyler was one of the fastest Sprinters in the world from 2009-2011 winning 15 stages around the world, but only one at the Tour de France (on July 4th last year). This year he has yet to record a victory, so he'll be looking to return to his winning ways. Horner was a revelation at 2010's Tour de France, outperforming his favored teammates Lance Armstrong and Levi Leipheimer to finish ninth. Unfortunately he crashed out last year, and at 40 we doubt he has a podium finish in him. George is a favorite of American cycling fans, due to his longevity, loyalty, and determination. He is riding in a record 17th Tour de France, and rode with Lance Armstrong in all seven of his victories. He has announced his intention to retire after this season. David is a time trial specialist, and has won stages in each of the grand tours (France, Italy, Spain). He has won the US National Time Trial Championship on seven occasions, and is known for his quirky nature. This will be his 8th entry into the Tour de France. Many people don't realize what a team sport cycling really is. 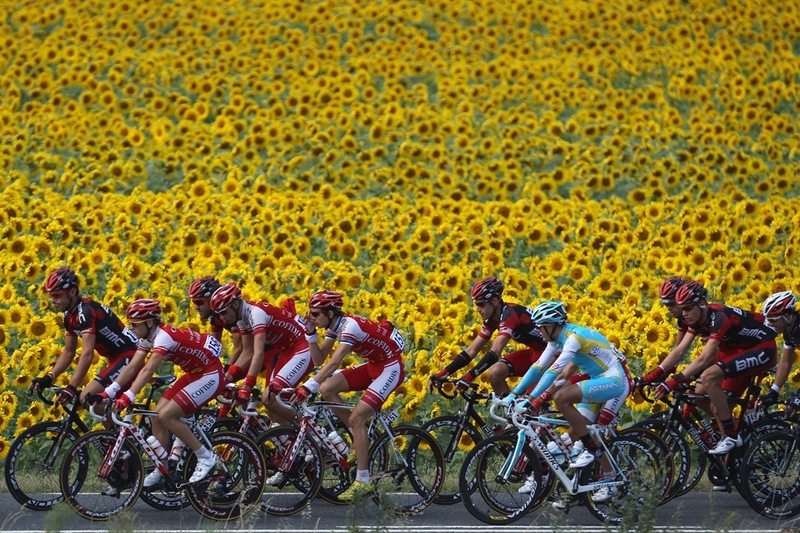 22 teams will participate in this year's Tour de France, each containing 9 members. Each team certainly has their own goals. While some will be riding for one man in the General Classification, others will be looking for stage victories in the sprints, or just to get some television time in France. 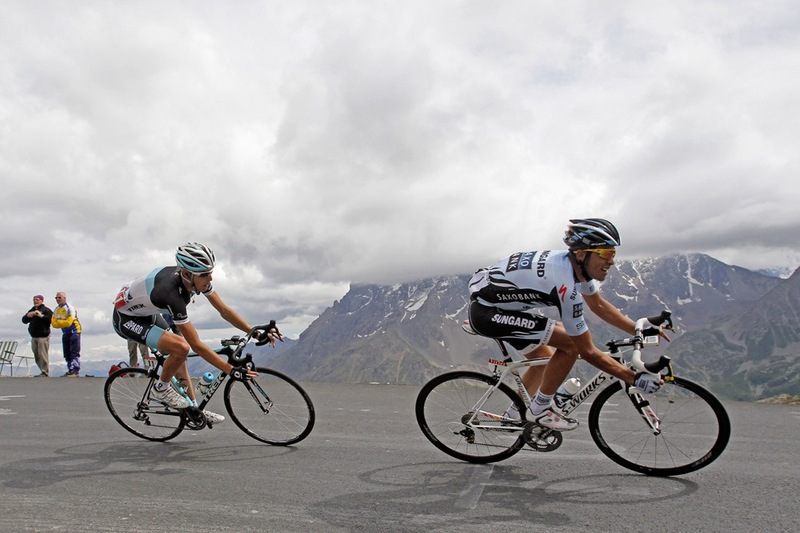 A typical team is well-rounded, with climbers, sprinters, and domestiques. 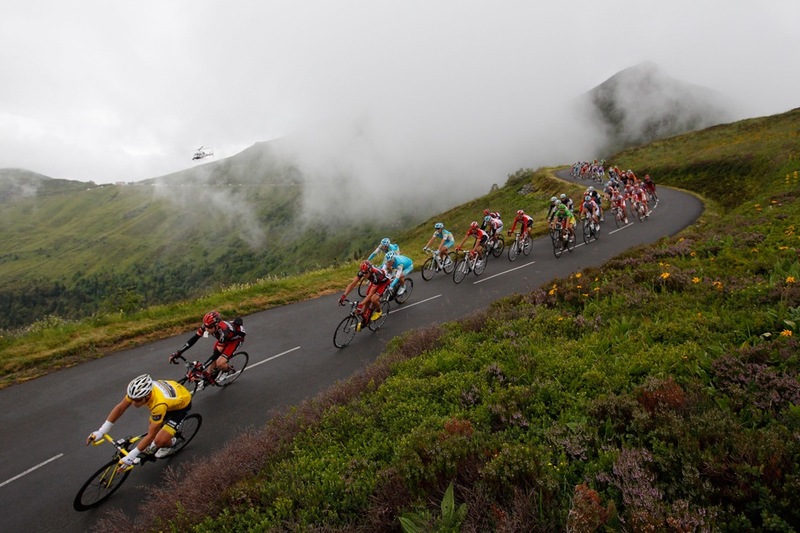 As you watch the Tour, you will notice the teams riding in formation, with the leaders of the team drafting behind their teammates, conserving energy until the final climb or sprint. Lance Armstrong was definitely one of the strongest riders ever, but he also benefited greatly from having one of the strongest teams around him, built to help him succeed. Below we will feature the three teams that think are of interest to an American audience. Garmin Sharp is the most clearly American team in the race, and was established in 2007 as Team Slipstream. The will feature four American riders in this year's Tour, their 5th, and they have performed very well at the first four. Team Leaders Christian Vande Velde, Tom Danielson and Ryder Hesjadal aren't big names, but together they've placed Garmin in the Top 8 for the past 4 Tours. They also finished 1st in last year's Team Time Trial, and won the Team Classification. 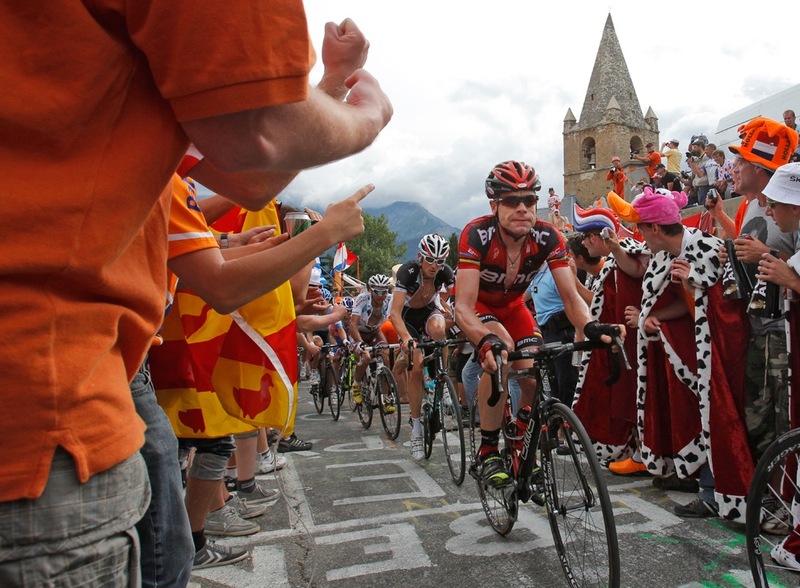 BMC was also established in 2007, and rode its first grand tours in 2010. They have two Americans riding in this year's Tour, George Hincapie and Tejay van Garderen. They also boast the defending Tour de France Champion, Cadel Evans (the little Aussie on the right), who will be looking to defend his title this year. BMC is actually a Swiss based bicycle company, but the team makes the United States it's home as they are co-owned by the founder of the 7-Eleven team. Team RadioShack was co-owned by Lance Armstrong for the past two years, but that team actually disbanded and this team more closely resembles Leopard-Trek from last year. So despite having some American sponsors, Chris Horner is the only American rider on the team, which is actually based in Luxembourg. We listed them anyways though as the team contains some names familiar to you if you followed Armstrong's career. Team Radioshack is joined by HTC-Highroad which also disbanded last year. So now that you know who the major players are for U.S. fans, how do you watch this spectacle? Well first of all, NBC Sports Network (formerly Versus) has all of the coverage for the Tour de France again, and they do an excellent job. They have a four man team that tackles the action in groups of two. Each day coverage starts at around 8:00 AM ET with a pre-race set show (usually from the finish line). They then proceed to cover that day's stage in semi live fashion. The finish is live, but normally the beginning of the stage is summarized with video clips. Many of the stages are in excess of 5 hours, so you'll be thankful that they don't show you the entire thing. The morning coverage is handled by Phil Ligget and Paul Sherwin, and they tend to focus primarily on the race. I normally record this coverage, and watch it in the evenings. Ligget and Sherwin are excellent, and honestly I enjoy their British accents. However if you are a cycling novice, you may prefer the evening coverage. Each evening at 8 PM ET, Bob Roll and Liam McHugh present prime-time expanded coverage. On weekends you may find this on NBC, instead of NBCSN. Expanded means that they cover more than just the race. They profile riders, teams, history, and locations. While they don't focus as much on the race as the morning coverage, it's a very long race, so missing a few minutes here and there isn't going to hurt you. They also focus more on educating the viewers about the sport, the equipment, the tactics, etc. I find this to be similar to Olympic coverage, and honestly it annoys me. Speaking of the Olympics, it appears NBCSN will be doing less replays of the Tour throughout the day this year, as they have pre-Olympic coverage in full swing. Stage 7 - July 7th : This is probably the first mountain test, where the contenders might try to test each other. While not as big as the mountains to come, it could surprise a few riders who aren't yet fully in shape, especially the final climb of the day. 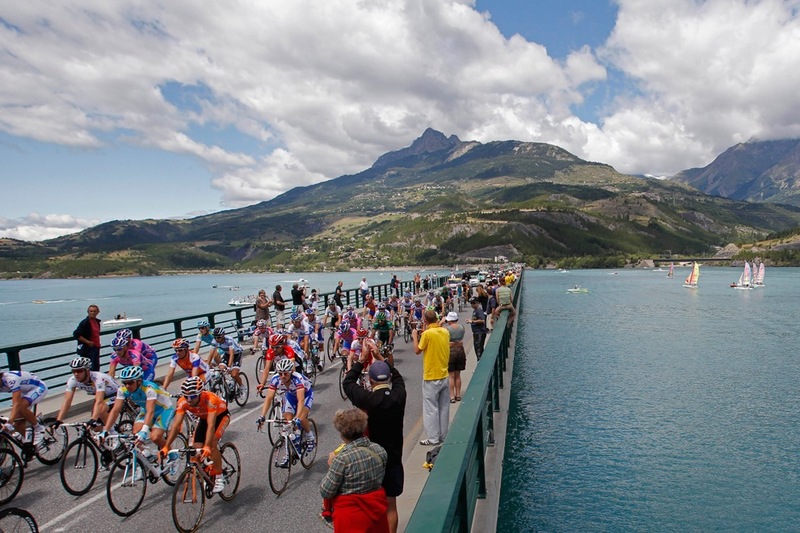 Stage 11 - July 12th : A big day in the Alps over two huge peaks and a mountain top finish at La Toussuire. This 92 mile stage will likely be a big battleground for those hoping to compete for the general classification. Stage 16 - July 18th : Two huge climbs accompanied by two big climbs highlight this stage from Pau to Barneres in the Pyrenees. This stage is known as the "Circle of Death", as the first time they rode it in 1910, it was thought that the competitors might die by trying it. Unfortunately the finish is not at the summit, which eliminates some drama. 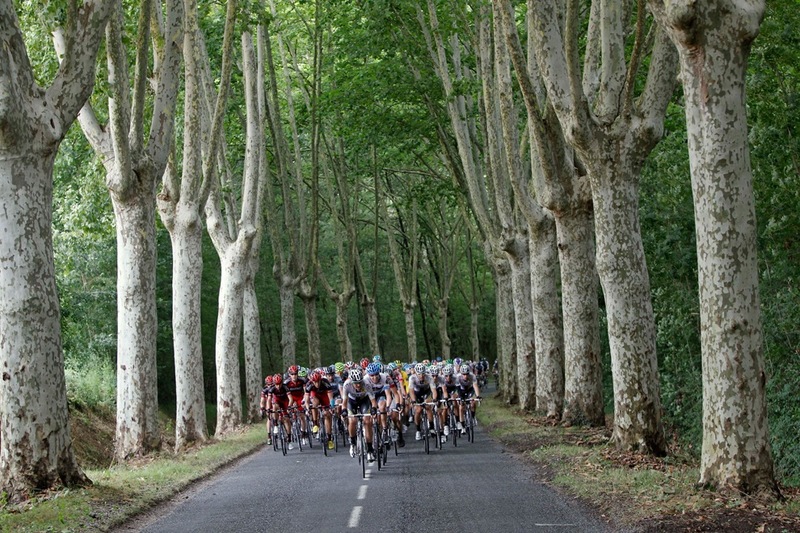 Stage 19 - July 21st : This is a 33 mile individual time trial from Bonneval to Chartres. 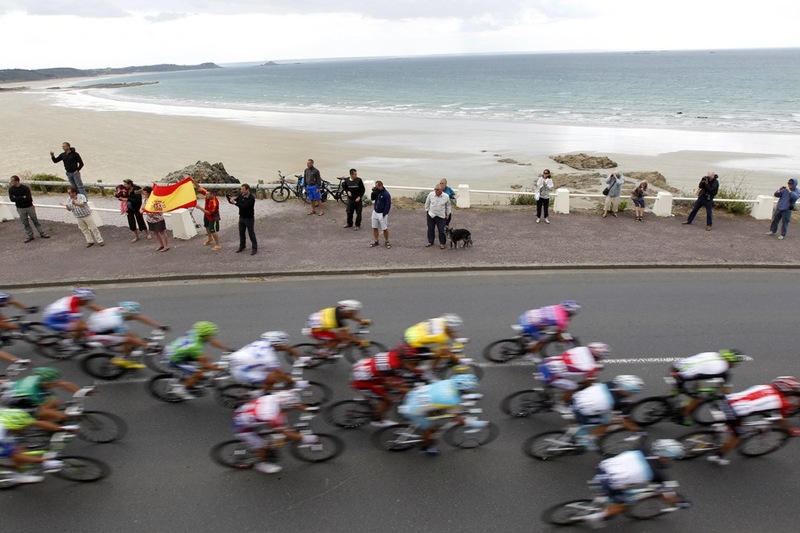 It is likely to shake out the final podium standings with Cadel Evans and Bradley Wiggins fighting for the top spot. 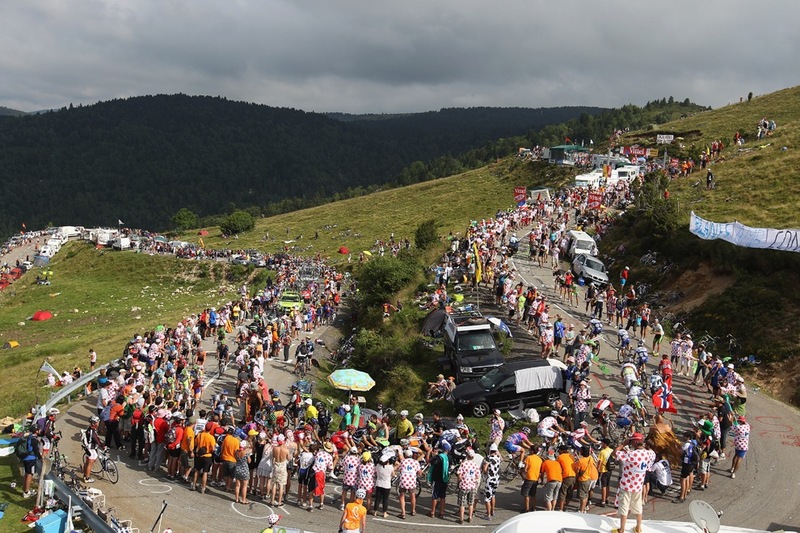 Stage 20 - July 22nd : Many people would tell you to watch the Individual Time Trial the day before, as it provides much more drama. However I'm a sucker for the ceremonial nature of the traditional final ride into Paris. The stage ends with 8 laps around the Champs-Élysées, in the shadow of the Arc de Triomphe, before a frantic bunch sprint with ultimate glory on the line for the sprinters.